One of the affordable offerings that you can register with Sun right now is the new All Out 30 promos. For only 30 pesos you now have unlimited texts to all networks, Unli Facebook and 300MB of data you can use for internet surfing. Sun Cellular that lets you enjoy calling, text and data in one promo with this newly launched All Out Surf 30 bundle. There is also a 30 minutes tri-net call that completes the combo services included in this package. What makes it more attractive to Sun prepaid subscribers is the 2 days validity. That cost you 15 pesos per day for unlimited FB, unli all-net texts, data and call in one promo. To subscribe with All Out Surf 30, you need to reload your prepaid account with 30 pesos and text the keyword ALLOUT30 then send to 247. 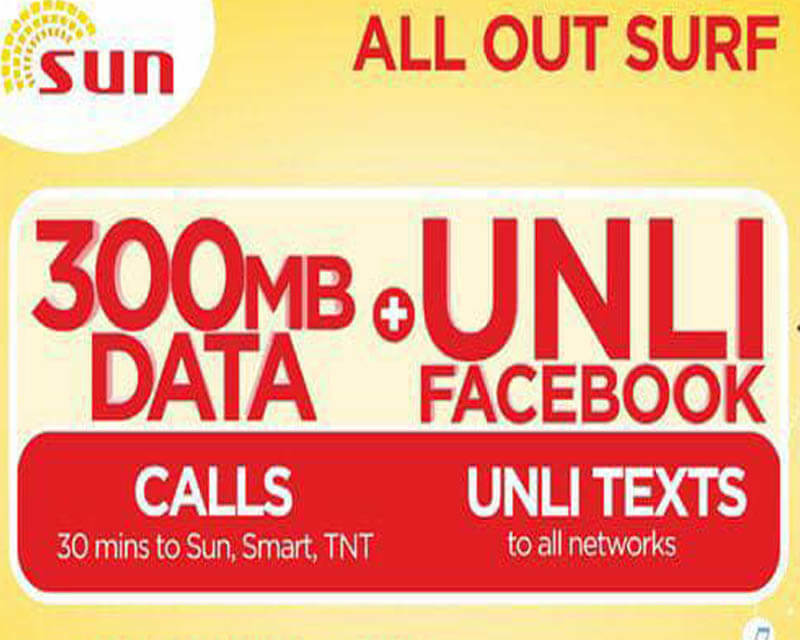 See all the latest Sun Cellular promos. Promo started last February 15 and available via load retailer keyword. After successfully texting the keyword, make sure to you received the SMS notification from Sun Cellular before you start using the promo. To call, just dial the 11-digit number of the person you are trying to contact.